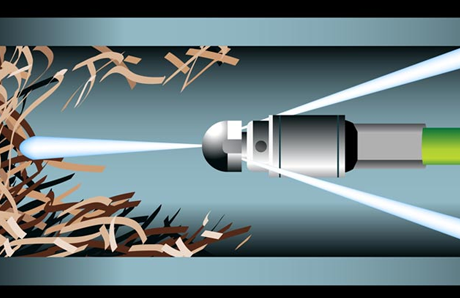 When pipes become overwhelmed by grease and debris, or blocked by invading tree roots, it creates a backflow of water that can become a health hazard, and can lead to more damage to your pipes. Thankfully, Advanced Plumbing & Drain Cleaning has the latest technology in hydro-jetting. heavy grease or root problems in your sewers. We utilize specialty nozzles for descaling cast iron pipe, root removal, sand and gravel removal, grease and sludge removal. We can clean pipes in excess of 500 feet long and diameters from 3″ to 8″ in diameter.